Chicago Bears quarterback Mitchell Trubisky is not expected to play Sunday, marking the second consecutive game the Bears would be without their starting quarterback. 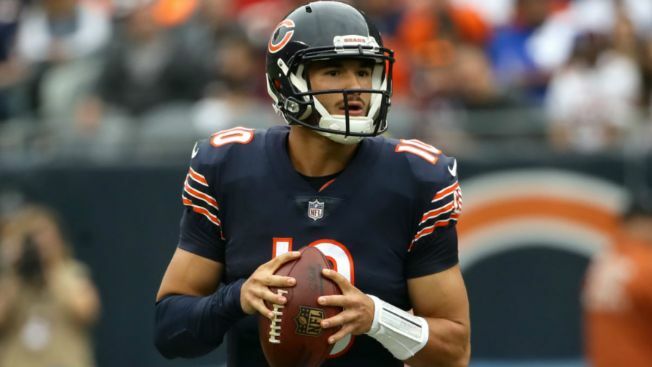 NFL Network's Mike Garafolo, citing sources, reported Trubisky will likely sit out the team's game against the New York Giants. Trubisky was a limited participant for the team in practice Wednesday as he continued to try to work his way back from a shoulder injury. The quarterback, who missed the team’s Thanksgiving win over the Detroit Lions, did not throw during the part of practice open to media on Wednesday, and he did not speak to media, as the starting quarterback generally does on Wednesdays at Halas Hall. Instead, Chase Daniel met with the media for the second straight week, and Trubisky’s injury is still described as “day-to-day” by head coach Matt Nagy. A trio of Bears missed Wednesday’s practice, including defensive tackle Akiem Hicks, who sat with an Achilles injury. Running back Benny Cunningham (ankle) and cornerback Sherrick McManis (hamstring) both missed the workout as well. The Bears did get some good news on the injury front, as linebacker Aaron Lynch and tight end Adam Shaheen were both full participants after suffering concussions in the team’s Week 11 win over the Minnesota Vikings.